This is a volume unit meter. 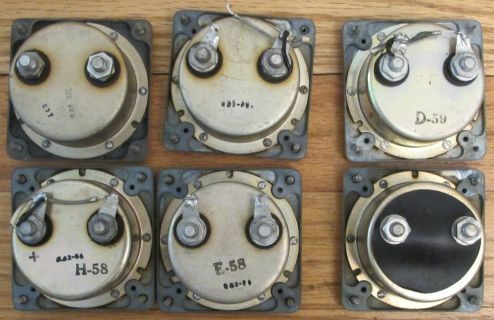 These were removed from Ampex equipment. The meter is full scale at 1.4 volts DC. The scale is a standard VU scale. The meter is 2.75 inches square. The mount holes are 2.25 inch centers. The meter is mounted on a panel through a 2.25 inch diameter hole. 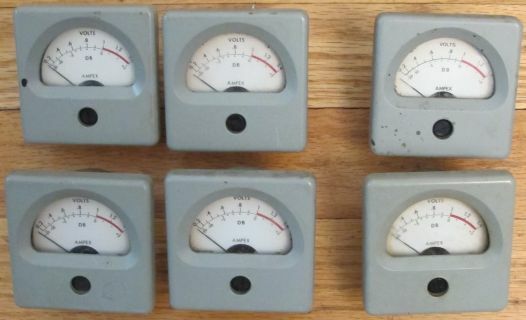 There are four working meters, and two dead meters (for parts or repair). There are six small screw on the back flange which allows access to the internals.